The CNA salary in Maine can vary depending on many factors including the area you work in as well as your time on the job and medical facility you are employed at. Among the best states for certified nursing assistant wages is Maine. 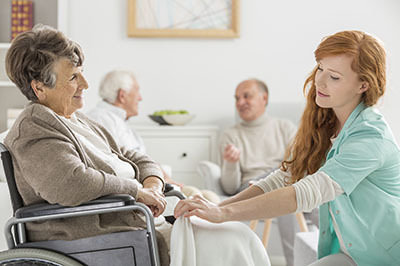 CNAs work in health care facilities to render quality services to various clients which include monitoring vital signs, grooming, bathing, and assisting with ROM exercises. As CNAs provide basic care to the clients, they are supervised by licensed practical nurses, licensed vocational nurses, or registered nurses. In the state of Maine, the salary of certified nursing assistants can range at about $20,000 to $27,000 for each year. The lowest average hourly rate is approximately $8 while the uppermost hourly income is around $16 for every hour. Most of the employers offers CNAs with higher salary wages if they have experience even for a minimum of one year. There are employers who offer certified nursing assistants with job training but CNAs will need to work for them in return. Nursing homes and private clinics give lesser amount of salary than other advanced areas including hospitals. The rural areas in Maine are offering lower salary wages to certified nursing assistants. In urban areas, CNAs are offered with higher salary wages. One reason for this is that the cost of living in rural areas is lower than in the cities. For whatever amount of salary that CNAs receive, it is made an assurance that they will still be able to live a comfortable life. The opportunities for nursing assistant jobs is expected to have an increase by twenty-one percent between the years 2012 and 2022, according to the Bureau of Labor Statistics. This can be a great opportunity for individuals wanting to pursue a career in the field of health care. Potential nursing assistant who want to become eligible to work in this state should attend CNA classes in Maine. A school program will teach you the clinical and hands on skills as well as prepare you for the state exams.